No actual members of the Migos were reportedly charged. The Migos' tour bus was stopped & searched last night after a concert at Appalachian State University's Holmes Convocation Center in North Carolina. 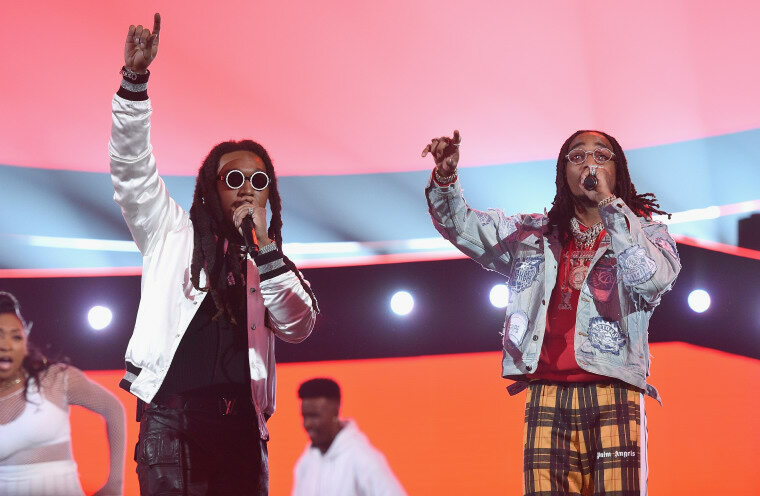 Neither Quavo nor Takeoff of the group were charged, and Offset's whereabouts were reportedly unknown. Three other men — Jharon Murphy, Daryl McPherson, and Dominic Spigner — now face drug charges, local news outlet WCNC reports. The tour bus was reportedly stopped on highway 105 in North Carolina after an officer detected a strong smell coming from the vehicle; upon searching, marijuana, codeine, and Xanax was found.